The easiest way to tie the decorative Celtic Heart Knot use two opposing crossing turns - even hanging a pendant between them. 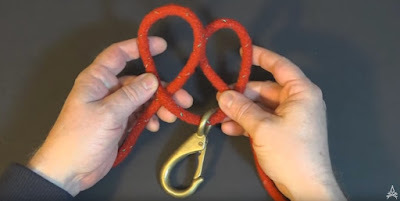 Alright today on Repairs101 I’m going to show you the easy way to tie a Celtic Heart Knot – a popular decorative knot used as a pendant on handmade necklaces and paracord bracelets. You can use the Celtic Heart Knot as a pendant itself or as a place to hang a pendant or a charm of some kind. This knot isn’t exactly heart-shaped, so don’t expect it to be perfect. And the type of rope you use will dictate what the knot will look like when you’re finished. You want to make two crossing turns that oppose each other and then slip one under and inside the other. Then with a simple under over under over weave the knot is formed. 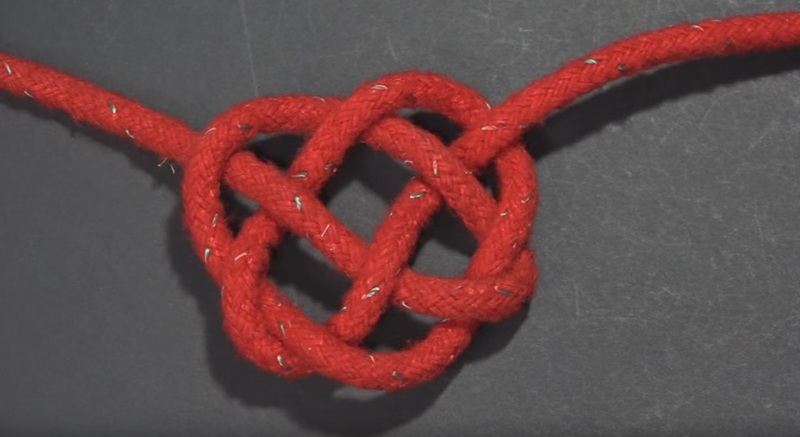 Rotate the knot clockwise to tighten it evenly and shape it. The common mistake people make when they’re tying this knot is pulling it together too tightly. This is a flat knot, and its ultimate shape will depend on what kind of rope you use and how tightly you pull it together. 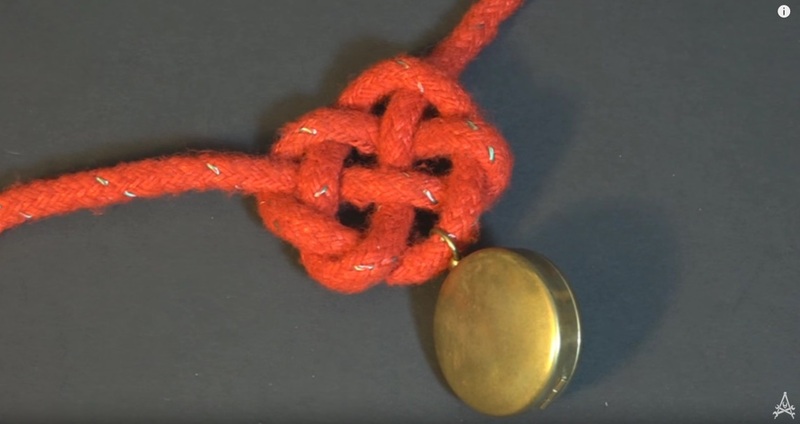 Hanging a pendant on the Celtic Heart Knot is easy enough once you understand how the knot is tied. Simply string the pendant or charm on in between the crossing turns and finish the knot. As you turn the knot clockwise to take the slack out of it, shift the pendant over to the center of the knot and tighten as usual. You can make yourself a choker or a necklace with a charm or maybe your keys hanging from it – or make one for your dog to carry his keys. Alright thanks for watching and don’t forget to subscribe.